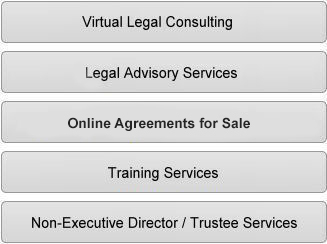 The agreements on www.sitllegal.co.za are user-friendly and as intuitive as possible. They have been thoroughly spell-checked, edited to ensure correct grammar and punctuation, and are well-formatted. Please read applicable Explanatory Notes before you purchase an agreement and, after purchase, use them and this guide in concluding your agreement. In addition to the detailed Explanatory Notes listed next to each agreement which is purchased on this site, you may find that your agreement has detailed drafting notes and comments. Upon successfully concluding your agreement, the drafting notes and the comments (along with unnecessary clauses) must be deleted. You must also ensure that the font and spacing you've used to enter details into your agreement are consistent with the font and spacing used in the original, unaltered agreement. As stated elsewhere, not only are we concerned with the detail of your agreement, but we are also concerned that your concluded agreement is aesthetically pleasing, well-formatted, and contains proper grammar and punctuation. It is both excellent substance and form that makes for a professional agreement. CAUTION: Please spell-check your changes and make sure that you read your agreement thoroughly to ensure that you are satisfied with such before it is sent to the other party for comment. The spell-check function in a word processor is not fool-proof and sometimes ridiculous suggestions are offered as substitutes for words (e.g. "timorously" is often suggested as a replacement for "timeously"). The former is incorrect! Unfortunately many people (lawyers included) blindly use the spell-check function without question. PLEASE BE extra vigilant! 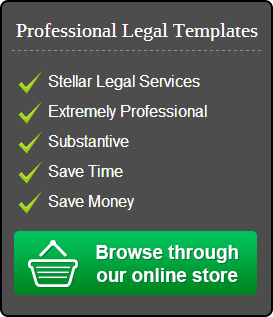 FURTHER CAUTION: As far as possible (unless you are a seasoned legal professional who has purchased one of the more substantive agreements from this site), we suggest that you make as few changes as possible to the substance of the agreement; where you have to make global replacements, review your agreement carefully to make sure that there are no unintended consequences (e.g. You may wish to replace the word "we" in an agreement with "us"; using the "find and replace" functionality in your word processor may result in words such as "well" now reading as "usll"). We cannot stress how important it is to be absolutely meticulous in reading through your agreement to ensure that you are not left with embarrassing and unprofessional agreements. While it is initially a tedious task, after concluding a few agreements, this will be second nature to you. When concluding your agreements, it is far better to be pedantic and to err on the side of caution than to be haphazard and effect damage to your brand in this way. We suggest that you first make a copy of the agreement that you have purchased and save this to your hard drive. This is to ensure that you have the master copy available should something go awry while working on your agreement. The date: Please ensure that all parties signing an agreement also enter in the date. If this is not done, the agreement is incomplete. Note that each party must personally write in the date before signing the agreement. It is not recommended that, if one party fails to write in the date, the other party does so in that party's stead. This could lead to potential uncomfortable legal wrangles down the line; so please avoid doing so. Remember: Each party is to fill in the date. Parties: Please make sure all details are filled in correctly. If a party is an individual, please make certain that you obtain a certified copy of that person's identity document for your records as well as proof of residence. If a party is a company, please obtain the memorandum of incorporation of the company (previously the articles of association and the memorandum of association); this will also give you the registration number of the company. Make absolutely certain whether the company is a private company or a public company or a non-profit company; type out the name of the company and its registration number exactly as it appears on the memorandum of incorporation. Please ask the company for a resolution authorising the relevant party signing the agreement. If a party is a trust we strongly suggest that you seek legal assistance to make sure that the trust can conclude the agreement. Trusts are not companies; there are many things that can be done with companies that cannot be done with trusts. In order to get a more concise understanding of what trusts can and cannot do, you may purchase our opinion on trusts which will be made available, shortly, on this site. In the interim, we reiterate that you should consult with a legal professional who has a background in working with trusts to ensure that your document is properly concluded; if you require SITL Legal to provide these services to you, please email us at info@sitllegalco.za for a quote. Please note that the above must always be a PHYSICAL ADDRESS. A post box address WILL NOT suffice. Witnesses must initial each page of the legal agreement, including all annexures save for the signature page; on the signature page they must sign in full, enter in their addresses and their names in clearly legible block letters. Witness signatures are evidence that parties have signed an agreement. If possible, and to err on the side of absolute caution, ask witnesses to provide email addresses, physical addresses and contact details. The number of agreement signed depends on the number of parties to the agreement, as it is preferable that each party has an original copy; so if there are three parties to the agreement, please make sure that three original copies are signed in full.